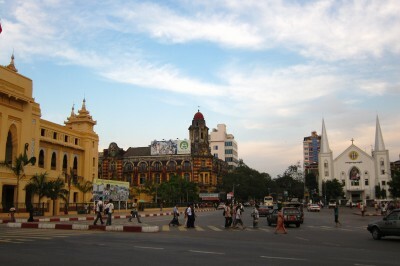 Back when I was exploring the intense and rewarding Myanmar, I wrote a post about how it was always soup o’clock in Burma. 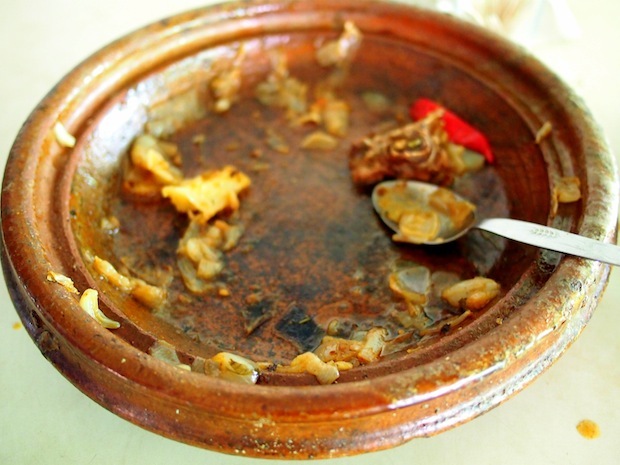 During my first days in Morocco, I was reminded of that post and the wry smiles of tourists I met in the country, asking if there was something they could eat that didn’t involve a bowl of broth. Tagine in Morocco is basically their version of the quintessential bowl of soup – varied in flavour, infinite in possibilities. 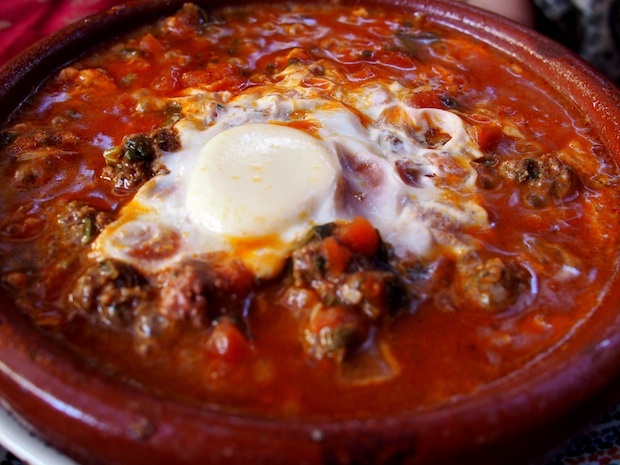 Cooked in a clay pot of the same name, the classic dish can be built using chicken or beef, lamb or just vegetables and even has an egg version called a Berber omelette. While some complain that they are tagined-out, I am as enamoured with tagine as I was with soup in Burma and I’ve had a wonderful time sampling the different possibilities. 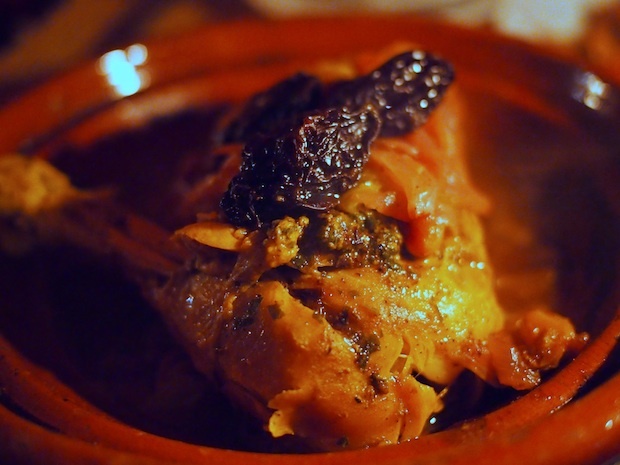 Tagine is named after the pot it is cooked in, a thick clay cone resting on a rounded base. 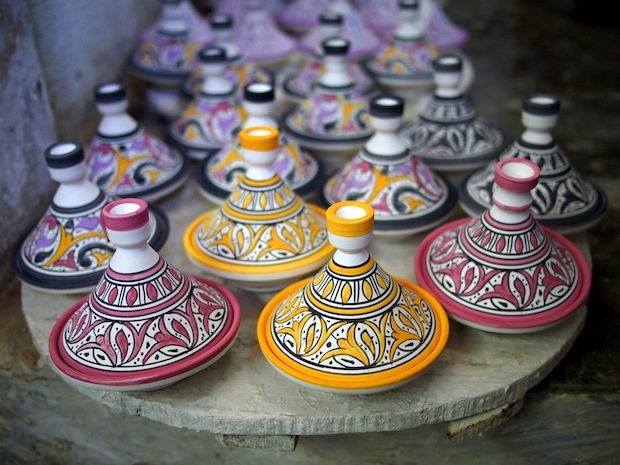 While many tagines are ornamental – see the delicate ceramic ones below, hand-painted carefully – the basic cooking version is unpainted and only occasionally glazed. 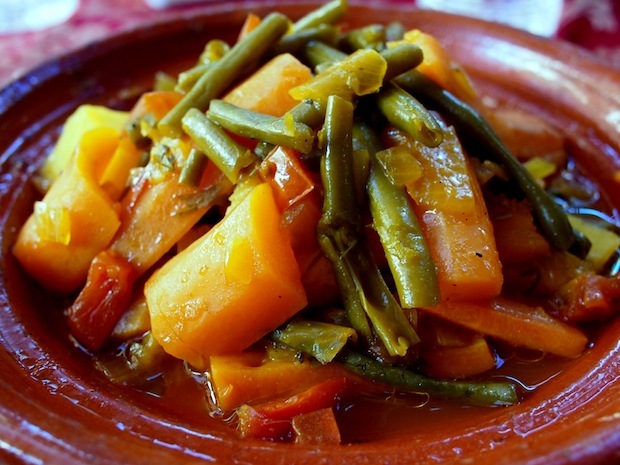 Practical and durable (except if you drop it, of course), the dish is synonymous with Morocco for good reason: every roadside stall, tourist restaurant and cafe seems to have pots of the stuff simmering all day long. 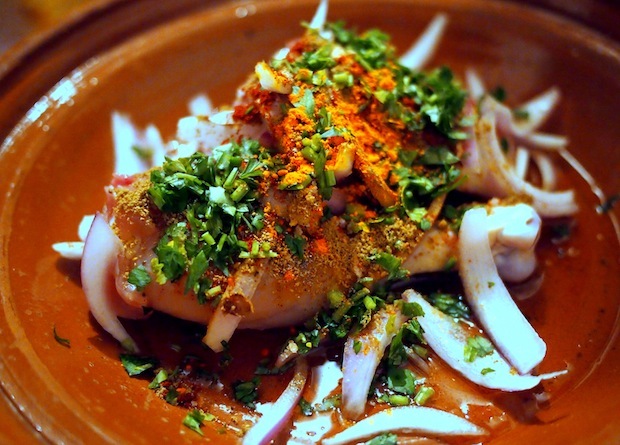 While ubiquitous, tagines are also quite practical. By virtue of slow-cooking meat at low temperatures, effectively braising it until tender, a lower quality or tougher meat can be used. And the food cooks with minimum of additional liquid (water is added as it simmers), and no additional fat. 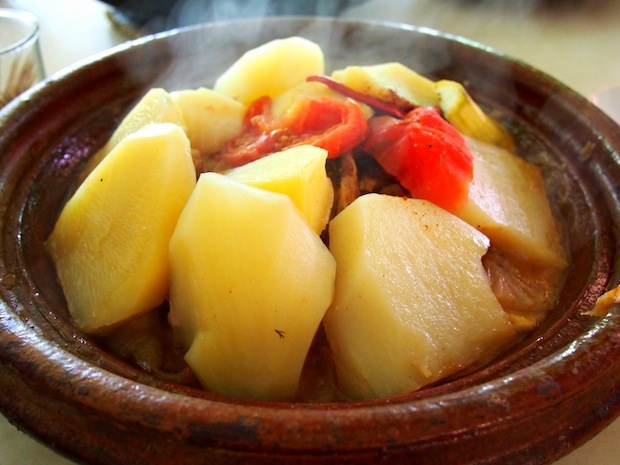 The meat browns in the heated clay despite the slow simmer – the heat remains trapped inside the pot by the raised outer ridges on the base of the tagine. The tagine is appealing to me for the same reason that the wok was appealing to me in Asia: it’s a simple way to make an incredibly flavourful meal. When I’ve talked on podcasts or in interviews about eating on the road, I’ve implored that food does not need to be complicated to be good. In Asia, the street eats are the most exciting to me, a two-minute flash fry resulting in a shockingly complex set of tastes. And in Morocco, I’ve found tagine is precisely the same, allowing for deep, musky and lemony flavours all cooked under one conical roof. To simplify the drooling process, I’ve divided things up into the meats involved. 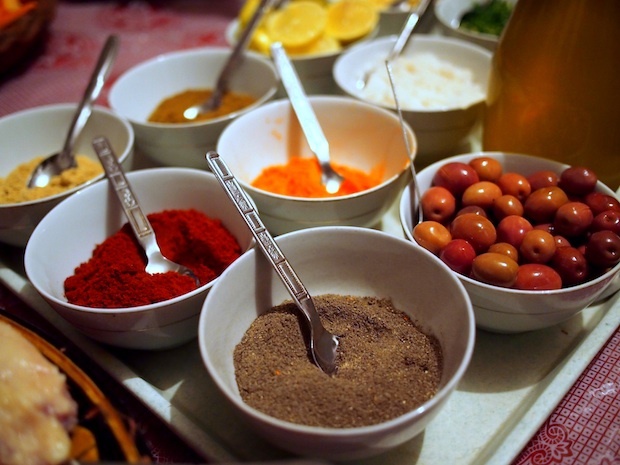 The starting point for all tagines is your meat of choice, chopped onions and a lovely laundry list of herbs and spices. In the tagine I made (see below), I used sweet paprika, a whole lot of cumin, Moroccan saffron, turmeric, garlic, freshly chopped parsley, ground ginger, and salt and pepper to taste. Chicken is easily the most common meat in Morocco (except during the Feast of Sacrifice where it’s all mutton, all the time). 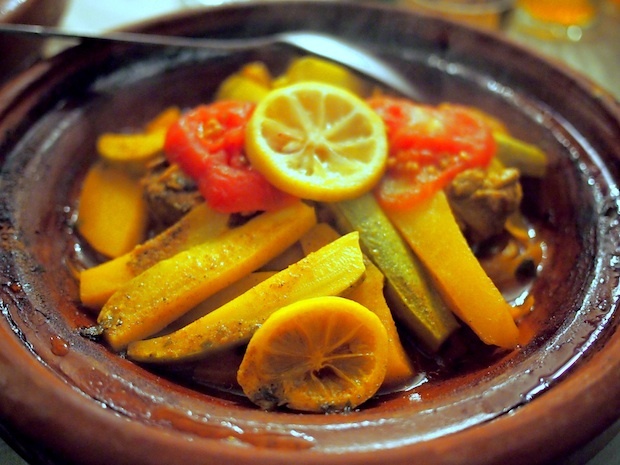 As a result, there are many different tagines to choose from. Usually they are a variation of the first or third photo below: chicken, vegetables, olives, copious amounts of lemon and spices, all piled into a kindling wood -like pile in the centre of the tagine. Occasionally, you’ll find a more adventurous soul who adds the mrouzia ingredients to chicken, as with the second photo below. Lamb is one of my favourite meats and it’s no surprise that I thoroughly enjoyed the mutton tagines I found along the way. 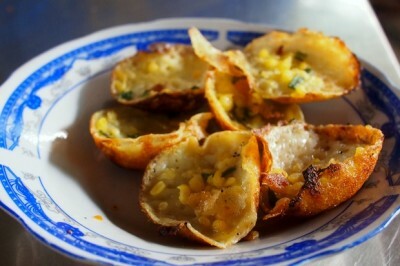 The best of them all was from a tiny roadside stall in Zaita, a town tiny enough that it’s not on Google Maps. But what it lacks in population it makes up for in taste, and our table ordered two mutton tagines, one with green peas and one without. The meat was so tender it fell apart with a gentle touch of the fork, and the potatoes cooked perfectly and without being soggy. 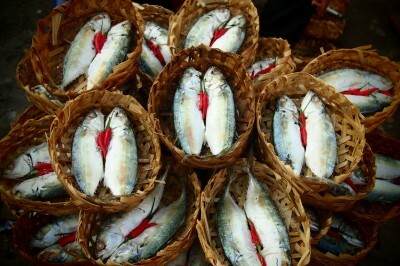 The addition of tomatoes added a needed touch of acidity to the dish. We might have just enjoyed this one a bit too much. A giant food coma followed our meal. 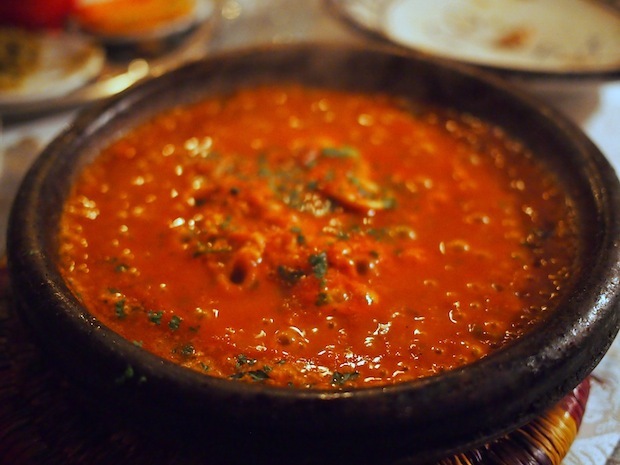 The most common of the beef tagines is that of kefta, a flavourful meatball, tomato and egg concoction named after the spiced meatballs that make up its primary ingredient. 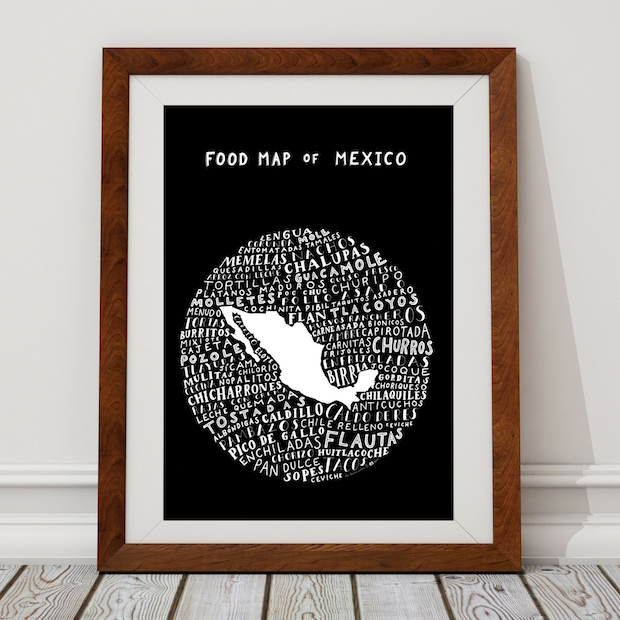 Kefta are found throughout the Middle East and North Africa, usually consisting of beef of lamb mixed with cumin and coriander and fresh parsley, sometimes with a little chilli to add a kick. Into the tagine pot they go, along with a few eggs, a lot of tomato puree and some salt, pepper, cinnamon and honey. The results, it needs to be said, are magnificent. The egg is steamed alongside the meat and tomatos, perfectly cooked but never dry inside. For those craving some meat, this is an excellent option that will leave you feeling full and happy. Or is that just me? 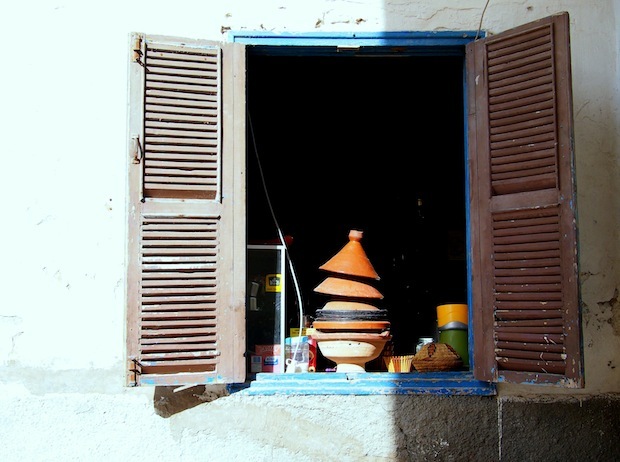 Like the chicken tagine above, beef cubes can also be used for the traditional mrouzia tagines, with room for creativity. 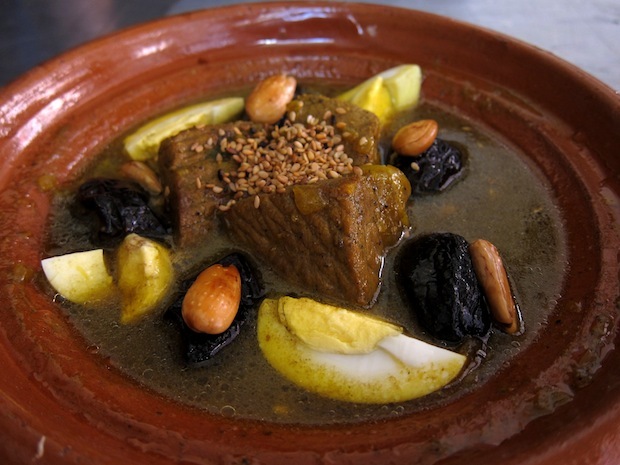 This was a beef, prunes, almonds and onion tagine, with the added pleasure of sesame seeds coating the meat and fruit. I hadn’t seen sesame added elsewhere, but it complimented the cinnamon and honey perfectly. 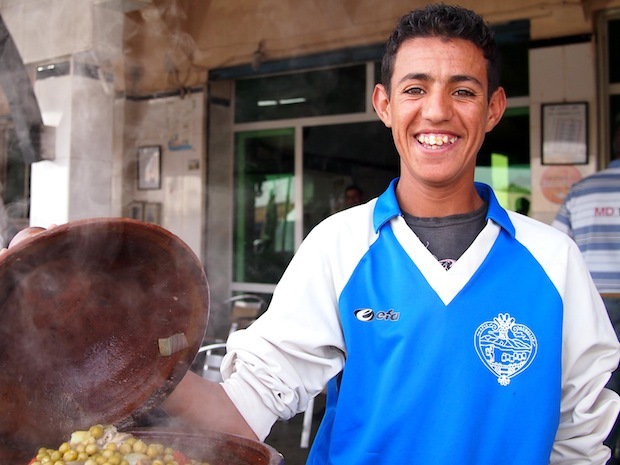 Just about anything can be cooked in a tagine, and one of my favourite options is that of a Berber omelette, found in almost any restaurant in town. If it’s not on the menu, you can ask for them to prepare it off-paper; the ingredients are common to almost every Moroccan kitchen and they’ll almost always oblige. To your clay pot, you add tomatoes, garlic, herbs and spices – parsley, cilantro, ginger, bay leaves, black pepper and Ras-el-Hanout – and simmer for ten minutes with a splash of olive oil. In goes as many eggs as you can handle and the lid replaced, cooking at low heat for another ten minutes, until the yolks have set but are still soft. Simple and delicious, it’s a comforting dish for any cold day. 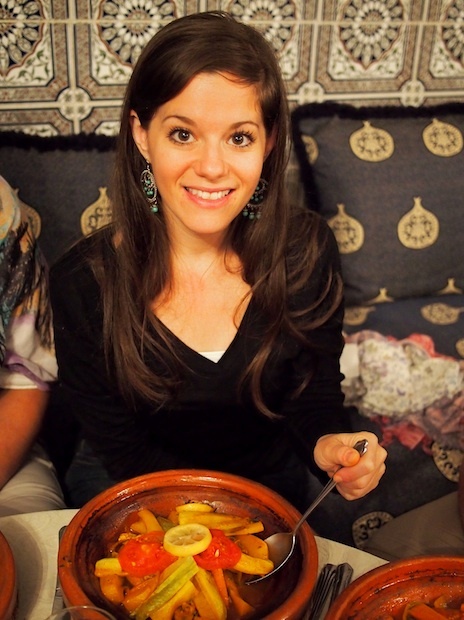 Of course, I couldn’t leave the country without trying my hand at tagine-making in the land of tagines. 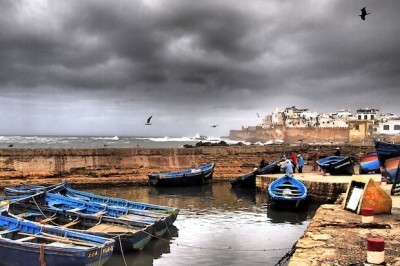 With a tagine cooking class on offer, most of us excitedly signed up. Crammed into a narrow room with gas burners lined in a row, we were taught the art of the simmer, choosing from an array of spices, herbs and vegetables. Having all eaten tagines for several days running, we each had a different idea of what we wanted to create. Bernie stuck to his Taiwanese roots and “Chineseified” his plate, adding more garlic than the rest of us combined. I went a little cumin-crazy, dousing my chicken in a dusting of green and gray. The class also yielded one of the best catchphrases of the trip when our guide Yacine sombrely instructed us to “remember to control your tagine,” a line that cropped up repeatedly thereafter. (Danielle to Yacine: “We can’t worry about everyone. We just can’t control everyone’s tagines!”). When the tagines were done, we crowded around the table to try them out, each of us extremely happy and just a bit biased. A lot of “this is the best tagine ever” was heard, including from me. How to make tagine: the finished product! Eating my finished product – and it was delicious. 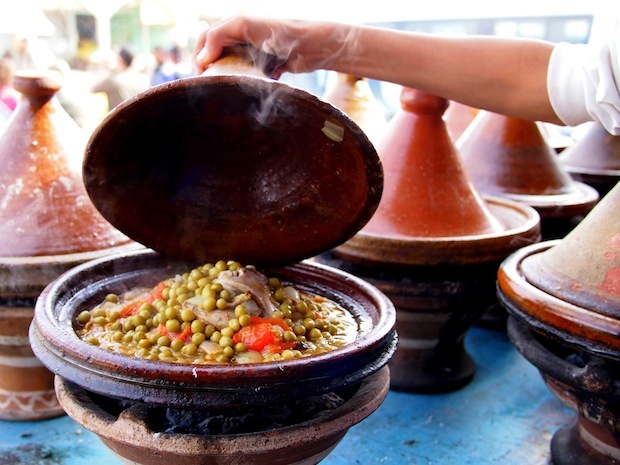 From roadside eats to snack stalls in the cities to the more opulent tourist restaurants, tagine is a matter of national pride throughout Morocco. Walking up to any restaurant with the telltale cones piled on the fire is an endless loop of discovery. What is cooking underneath? A curious gestures immediately results in a waiter coming to end the surprise. With a flick of his wrist, the cone is removed and the simmering meal below revealed. 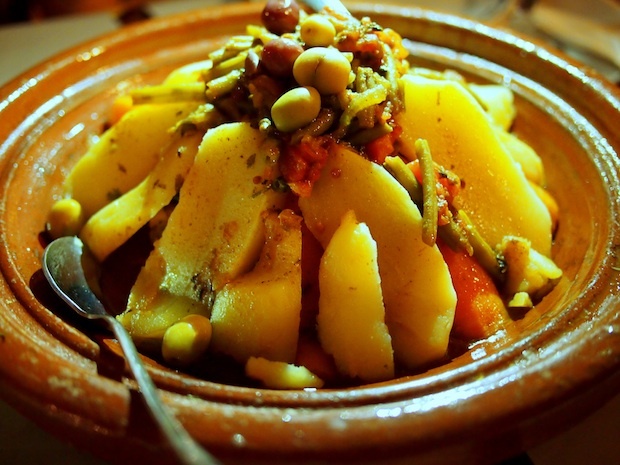 It’s always tagine o’clock in Morocco. p.s. To those who have asked what camera I am using, it’s an Olympus E-P3 Micro 4/3ds camera (not as big as a DSLR, but with interchangeable lenses) and these were all taken with a 20mm, f/1.7 Panasonic lens. Haha! No fair! I’m sitting here, hours from my lunchbreak, licking my chops after seeing these photos! I just got a tagine a few weeks ago from a North African market here in Spain and am still trying to get the taste just right. It often comes out a bit bitter, from the lemons I believe. Not overpowering in lemoneyness, just a tad bitter. Any suggestions? I’d start by adding less lemon but also adding them a bit later in the process, so they don’t bake into the tagine’s full flavours. That, or you can try counteracting with more cumin and a touch of sugar or prunes. Good luck! I bought a painted glazed tagine in a factory info. They assured me I could use it on my stovetop to cook. Were they not truthful? I keep reading that the tagines have to be unglazed clay. Please help before I ruin mine.